15% discount not to be combined with other offers. The Del’s signature restaurant spotlights California Coastal cuisine with fresh local ingredients. Start with fireside cocktails at the Sunset Bar overlooking the Pacific, and then venture inside for an epicurean adventure of seasonal dishes paired with exceptional wines. 35% off liquor . Restrictions: Before 11pm. Not valid on specials or happy hour prices. AMERICAN JUNKIE is a modern interpretation of the traditional gastro pub, offering the best in food and cocktails. Located in the San Diego's Historic Gaslamp Quarter. Come by and enjoy a cocktail, beer or glass of wine and receive 20% discount when you show your Fit Tag. BASIC offers a 20% discount on all alcoholic beverages. 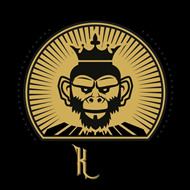 As the flagship concept of URBN Restaurant Inc., one of San Diego's most successful hospitality collectives, BASIC is consistently recognized as "Best Pizza" in San Diego by a number of premier local publications and has been featured in high profile media outlets such as The New York Times, MTV, and The Los Angeles Times to name a few. BASIC's sister concepts include URBN Coal Fired Pizza in North Park, Vista, El Cajon and Encinitas location. Established in 2006 and located in the heart of East Village in Downtown San Diego, simplicity and urban style converge at BASIC Urban Kitchen + Bar. Thin-crust brick oven pizza is the highlight on the one page menu, and a no-nonsense drink list and raw industrial design elements complete the massive 5,000 square foot restaurant and bar, which was converted from an authentic 1912 warehouse. By day, BASIC takes the locale back to its roots as a casual, contemporary enclave for visitors, young professionals, families and neighborhood regulars alike. By night, BASIC comes alive with an eclectic assortment of art shows, charitable events, and a booming weekend nightlife scene complete with some of San Diego's hottest local DJs. As one of the few spots downtown to offer late night dining, BASIC's kitchen remains open serving up fresh handcrafted pies until 2 am. 20% off food for Fit Members only. Does not apply during Happy Hour. Located in the heart of San Diego’s Gaslamp district, Barleymash is the fun, high energy downtown restaurant and bar that celebrates the richness of American culture through its appetizing and progressive bar fare. Both the restaurant philosophy and menu offerings draw heavily from two barroom staples: beer and bourbon. The name in fact refers to the typical grain mixture used in the brewing and distillation process of both beer and bourbon. What results from this pairing is a uniquely American dining experience and aesthetic that remind all patrons of two simple ideas: life is meant to be sipped and savored and good times should always be shared. 20% discount on all oursingle-origin 12 oz. whole bean coffees. Located right around the corner at 11th and k, bean bar is your next coffee addiction! Our commitment to craft and consistency lies in the hands of our staff and owners. It’s then passed on to our new and regular customers through dedication and desire. we aim to educate, inform, and teach you about coffee, in order for you to have an unforgettable experience. Coffee is the conversation here, and our expertise in the field will definitely impress. Not only is our knowledge of coffee important, but also the coffee speaks for itself. Our roaster is 49th Parallel, out of Vancouver, Canada. They are a micro-roaster who strives to be the best in the business, and we think they are. All their coffee sourcing is done directly with the farmers who harvest the crops, in order to increase output, success, and overall a better bean. Working closely with our roaster was important to us, and the connection we had with 49th was unmatched with other roasters. We strive to represent our neighbors from up north the best we can, down here in the south. Enjoy a complimentary entrée when purchasing another entrée of equal or lesser value. Not valid with any other discounts or promotions including the Sunday Seafood Feast. 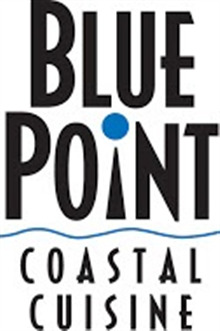 Blue Point is a 1940's style New York supper club featuring an extensive wine list, craft cocktails, local beers and the freshest seafood from our innovative Executive Chef. The dining room is lined with cherry wood and the sounds of Frank Sinatra are a mainstay at the iconic Gaslamp Restaurant. 15% of bill. Not to be combined with any other offers. Built on a locals-oriented foundation, Bootlegger strives to provide a friendly, comfortable atmosphere in which you’ll always be treated like family. Sprung from the minds of local industry experts, Bootlegger takes the comfort of your best friend’s living room and pairs it with the allure of a 1920’s speakeasy. Dine on modern versions of comfort food classics as you enjoy all the quality entertainment the San Diego nightlife scene has to offer. Bootlegger: Where a drink and a smile never go out of style. 20% off bill - not to be combined with any other offers or discounts. Café Sevilla is an Authentic, Spanish Bistro and Tapas Bar located in the heart of the Gaslamp for the last 25 years. Sevilla offers tapas, or small plates from over 40 different regions in Spain. One can find nightly live music, weekly Flamenco dinner shows, and traditional paella and sangria recipes from Spain. A stunning display kitchen is the focal point of Cowboy Star, offering an insiders view of the action. The bar at Cowboy Star offers a stylish and cozy environment complete with large leather booths, a fireplace and hand-crafted cocktails. The Old West ambiance provides a laid-back and stylish background perfect for private parties and special events. Our level of service is only matched by our celebration of regional American heirloom recipes offered with a genuine neighborly hospitality. We are committed to supporting local and regional farmers, fishers and producers by cooking food that recaptures the simple and pure tastes found in locally grown, natural and organic ingredients. We strive to raise awareness of a more sustainable food future, while helping to restore a sense of community that brings us back to a more homegrown time. The Cowboy Star menu features the finest in select natural products from the nation’s leading Certified Humane Angus herd along with the freshest seafood available under the Monterey Bay Aquarium’s stringent Seafood Watch Standards. 20% off. Not to be combined with other offers. We offer delicious rustic Italian cuisine paired with an extensive and high end wine list and craft driven cocktails. Our chef driven menu is geared towards family style share plates, homemade pastas, pizzas and a fantastic assortment of meats and cheeses. 20% discount. Not to be combines with other offers. Dublin Square is the sister pub of Tynan's Bridge House Pub, a 300 year old pub in Kilkenny, Ireland & was shipped from Kilkenny to San Diego's famous Gaslamp District in 2001. Dublin Square features 50 world class beers ranging from traditional Irish beer to local and craft beers. Dublin Square also has over 30 Irish whiskeys, 30 single malt scotches and much more. Join us for breakfast, lunch or dinner at our upscale Irish pub. Also, don't forget to check out our happy hour! See you soon! Slainte! Cheers! 20% off for Fit members. 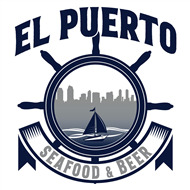 At El Puerto By The Park we blend the freshest available foods from California with our Mexican heritage. Our passion for cooking will provide you with a passport for taste and a visa of flavor to Mexico’s finest cuisine without leaving San Diego. We’re also a family owned business. We honor tradition, but also love trying new things. We believe in keeping things fresh and unique. We believe that customer-focused and food-focused is the only way to go. Glass Door is a restaurant that offers the casual sophistication that San Diego is known for and features a seafood based menu that truly draws influence from every major culinary capital in the world. Our menu takes root in flavors and techniques that can be found in Eastern Europe, Spain, Italy, Asia, France and the Middle East and gives them all a decisively San Diego interpretation. 20% off in the restaurant and lounge. Grant Grill at the US Grant Hotel represents the classic luxury segment in downtown San Diego as far as dining experiences go relying heavily on Farmer's Market produce and providing a service that is really unparalleled. The restaurant lounge balances old and new influences with cutting edge handcrafted cocktails and culinary terms presented in an environment that combines the traditions of 100year old architecture with modern lounge beats. Hosting Happy Hour daily from 48pm. Live jazz every Wednesday and Thursday from 811pm and lounge DJs every Friday and Saturday from 811pm. Located in the heart of the historic Gaslamp Quarter, San Diego. After nearly two decades of experience, its fair to say that Greystone has it mastered. Either from fresh sourced seafood from the East coast to the West coast, dry-aged steaks, handmade lobster raviolis to gluten free pastas; or even more of an exotic dinning experience with Elk Chops, Wagyu from all over the world to Foi Gras Greystone the steakhouse will not come short. 20% discount with Fit tag. Not to be combined with other offers. Half Door Brewing Co is a "pub" in the traditional Irish countryside sense of the word - a place where beer is made and served fresh. At one time in the recent past, every hamlet on the Emerald Isle had its own pub, its own brewer, and its own unique brew. HDBC was built to celebrate this tradition, with the next generation of our family at the helm, right here in the Capital of Craft- San Diego, California. The menu here at HDBC is the ultimate pairing of inventive comfort food and exceptional house-brewed beer. We feature several house beers brewed on-site to compliment the menu. Our head chef works closely with brewer (Dan Jr.), developing Half Door's distinctive food and beer as a singular experience to savor! 20% off during Lunch weekdays only and Dinner. San Diego's antielitist, democratic ways cater to all turnons. So does the Hard Rock Hotel San Diego's coffee shop. Featuring a classic American style with a contemporary twist, Maryjane's Coffee Shop showcases iconic furniture and textures alongside the latest in hightech elements. When night falls, Maryjane's shows its modern flair, with a focus on the circular bar and outdoor patio. Signature menu items include LA sticky buns, burgers, chopped Cobb salad and chicken pot pies to enjoy while dining at the restaurant or to order from the convenient grabngo counter. Open for breakfast, lunch and dinner weekdays and nonstop on weekends, Maryjane's features a fun style and fresh attitude. Havana 1920 brings Hemingway’s Cuba to life with authentic Cuban dishes, drinks and entertainment. Located at 548 5th Ave. just south of Market Street in San Diego’s Gaslamp Quarter, Havana 1920 is open daily from 11 a.m. to close. Our café opens at 10am. The restaurant opens at 11am. Enjoy live music every Tuesday through Saturday evenings! 20% off restaurant bill with Fit Key Tag. Ticket Giveaways for Fit Members. *Not to be combined with other offers. Tickets for select shows only. Our house is your house. House of Blues San Diego is home to live music, delta- inspired cuisine and special events! House of Blues San Diego is one of San Diego’s top venue for live music and entertainment. The House of Blues Restaurant & Bar features mouth-watering southern-inspired dishes, one of a kind handcrafted cocktails, happy hour and food specials, live entertainment, trivia nights, rockin’ karaoke, concert pre-parties and more! Step into the world of House of Blues and discover a mix of music and food that will feed your soul. A dozen free cupcakes to a cake order of $200 or more, or 6 free cupcakes to an order of 3 dozen or more (our minimum order) and also include free delivery to the Carmel Mountain location. 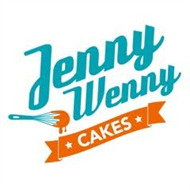 Custom bakery specializing in custom cakes, cookies and desserts for special occasions including birthdays, baby showers, weddings, showers and many other events and corporate orders. We bake everything from scratch with the finest ingredients. We are by appointment only and recommend booking 2 weeks before your event. 15% discount off entire bill.Not to be combined with other discounts, happy hour, or daily specials. Knotty Barrel is home to East Village's newest Gastropub, featuring fine, locally sourced food and a selection of over sixty beers from around the world, including sixteen craft beers on tap. We pride ourselves on partnering with local farmers and vendors to provide our guests with the freshest ingredients possible. We invite you to join us for lunch or dinner and let us introduce you to the art and science of good eating. 10% off online only plus free delivery.Delivery hours- Mon – Sun: 10:30am -11:00pm. With two brick and mortar locations serving the Downtown & Golden Hill neighborhoods of San Diego, Krisp Beverages + Natural foods has become the one stop shop for organic and specialty groceries, fine wine, craft beer and premium spirits. 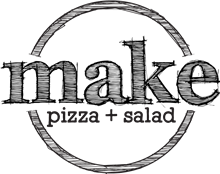 Krisp Pizza offers FREE delivery of artisan pizza & stromboli, salads, appetizes, craft beer, fine wine and premium spirits to Downtown, East Village, Golden Hill, Grant Hill, Logan Heights, Little Italy, Hillcrest, Mission Hills, Five Points & Old Town. Lets us cater your next event or holiday party! 20% off of food and drink. Not to be combined with any other offers. Petco park, San Diego Gaslamp District, Coronado and the Embarcadero are just a few of the spectacular views you will see from the roof top bar located at hotel INDIGO in the heart of east village. A contemporary atmosphere paired with majestic gas powered fire pits, an elegant reflection pool, a charming herb garden and a romantic lounging area, Level 9 has an ambiance unlike any other. The refreshing cocktails and limited menu offer a variety of delicious appetizers perfect for two. Whether you are looking to host a private event, enjoy VIP bottle service or capture a phenomenal display of the fireworks after a Padres Friday night home game, Level 9 affords all these amenities to you. A taster of any non-wood-aged beer and a pint of our standard beer styles for $5.00. This is a $6.50 value. 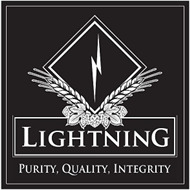 Lightning Brewery is an artisanal craft brewery located in the South Poway Business Park. 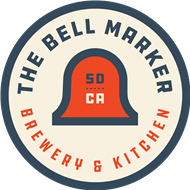 We specialize in creating and crafting an eclectic group of beers not seen from small breweries. Notable among these are our constellation of German-style beers, Biergarten Helles; Elemental Pilsner; Thunderweizen Ale; and Lightning Kolsch-style Ale. We have also put our spin on India Pale Ales with our Blue Sky and Red Arc IPAs and round out our selections with several farmhouse ales and barrel-aged beers. Most recently we have installed a tap room and associated outdoor patio area to enhance the enjoyment of our beers at the brewery. Tours are available on request and subject to scheduling. 20% off at Little Italy Food Hall with Fit Perx keytag. Not to be combined with any other offers or discounts including Happy Hour & Lunch Specials. Valid at participating stations. Located in the heart of Little Italy, at the much-buzzed about Piazza della Famiglia, the Little Italy Food Hall is a new social dining concept for San Diego. Adjacent to the 10,000 square foot open air piazza, the Little Italy Food Hall has six locally-driven food stations, a mobile outdoor chefs’ area featuring pop-up cooking demonstrations from names such as Sam the Cooking Guy, and a full bar program complete with local beers and craft cocktails. People are changing the way they eat — they want unique, healthy options, and MAKE pizza+salad delivers in an innovative way. We’re excited to give our community a healthy alternative to fast food and a flavorful reminder of how awesome it is to live in San Diego. 20% off during Lunch during weekdays only. Buy One Entree Get one Entree Free with purchase of two beverages! Or 20% off up to $50. Cannot be combined with other discounts. We are a family-owned bar and restaurant in San Diego’s popular Gaslamp Quarter. The word “mezé” translates as “taste” – meaning both “flavor” and “a taste of something.” At Mezé Mediterranean Cuisine you’ll find both. Our menu features finely crafted regional cuisine with a California twist. It can be enjoyed as entrees in our chic high-ceiling dining room, or in small portions as “mezé” that go exceptionally well outside on our patio with a drink, or as a bite at the bar before heading to a Padres game or a night out in the Gaslamp. On the weekends, we serve a delicious brunch with Bottomless Mimosas. Late night we recommend that you try our cocktail list and have a staff member pack a hookah for you. Come by and discover how a place can be both elegant and familiar, which is to say, Mediterranean. $4 "You Call It" Pints - except during fundraising events. 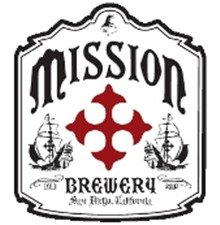 Originally located less than a mile from the very hill where Friar Junipero Serra and his scurvyridden crew drove their stake into the ground, Mission Brewery was born in those heady first days of the 20th century. Asian fusion at its best! A great mix of Chinese, Thai, and Korean. Modern, chic atmosphere and wonderful cocktail program comes together with great food to make an exciting and fun experience in the heart of the Gaslamp. Located just one block north of Fit Athletic’s East Village location, Monzu Fresh Pasta is an authentic an authentic, family-owned eatery specializing in a wide variety of fresh pasta dishes crafted using the techniques of Italy’s master pasta makers, plus craft beers and wines, and a rich assortment of imported Italian specialty foods and raw pastas for those looking to bring the experience home. Monzu is the family-owned creation of European husband-wife team Aldo de Dominicis Rotondi and Serena Romano, who share a strong belief in the Slow Food movement. Having trained with Italy’s master pasta makers, de Dominicis Rotondi and Romano lead the kitchen in creating Monzu’s all-day menu, which follow centuries-old pasta making techniques and flavors inspired by regions including Sicily, Campania and Puglia. Among the diverse pasta menu, staples like Ligurian Pesto Linguine and Signature Neapolitan Scarpariello are primed to become favorites. Monzu also offer daily specials and weekly-changing regional recipes, and several dishes cater to dairy-free, low-gluten, vegetarian and vegan diets such as the Vegan Pesto of the Day. For those hoping to bring the experience home, Monzu offer raw fresh pastas for home preparation and a retail section wherein guests will find imported delicatessen items like extra virgin olive oil, taralli, gnocchi and more. Visit the restaurant Tuesday through Sunday between 11 a.m. and 9 p.m. at 455 Tenth Avenue in Downtown San Diego or call 619.802.4355. Visit online at www.monzufreshpasta.com and socialize on Instagram at @MonzuFreshPasta. 20% off entire bill. Not ot be combined with any other offers. Prospect Bar Grill is, simply put, La Jolla's premier restaurant and lounge for everything that is fresh, trendy, and enticingly tasteful. Our second story location and glass enclosed patio, complete with dining tables, booths, firepits, and a separate bar, provides guests with a world class view of the sparkling Pacific Ocean. Inside, Prospect Bar Grill is home to several wide screen televisions displaying the most current sports packages, as well as pool tables, luxurious oversized booths, and a highly impressive full bar. 15% off Sally's Fish House & Bar menu. Does not include beer, wine or alcohol. Sally’s Fish House & Bar is San Diego’s go-to spot for woodfired seafood, fresh sushi, craft cocktails and California wines. Just a stone crabs throw from Gaslamp Quarter, Sally’s offers beautiful marina views, outdoor patios and a full bar. Park at Grand Hyatt San Diego for 3 free hours when you dine at Sally's. 15% off Sally's Fish House & Bar doggie menu. Dine & play on the San Diego Bay with Fido at Sally's Fish House & Bar. Dogs can nibble on Chicken & Rice, Sally's Famous Peanut Butter Pupcakes, a rawhide bone or any other item on the Sally's Doggie Menu while humans can enjoy woodfired seafood, fresh sushi, craft cocktails and California wines. Park at Grand Hyatt San Diego for 3 free hours when you and your canine pal dine at Sally's. 20% off for Fit members.Discount can not be combined with other offers, promotions or holidays. Located in the heart of the Gaslamp Quarter of Downtown San Diego, Searsucker is a nationally recognized social dining concept inspired by the simplicity, relaxed and feel-good vibe of the seersucker fabric. Menus are both serious and fun, with creative twists on New American Classics ranging from small plates to share with the table to mains you’ll want to keep all to yourself. Stop in for dinner, weekday lunch, weekend bottomless mimosa brunch or daily happy hour from 2:30-6pm. Grab a seat on our outdoor patio, belly up to the sprawling bar and lounge area, or get cozy in the main dining room and catch the action of the exposed kitchen. We encourage making the most of your social dining experience--so come early, stay late! Welcome to our revolutionary spin on the neighborhood bar & restaurant. Smoking Gun is driven to be flawless in the art of hospitality. We evoke a mindset of face-to-face conversation amid innovative libations. We value principles over pretension, as well as comfort over cool. Our urban setting and southern influenced dishes draws industry friends, restauranteurs, and tourists from all over. Grab a drink, enjoy the music, and try your hand at ping pong. Once you step inside our efforts are targeted on YOU, our guest. So drop in, rest easy and speak loudly. STK San Diego artfully blends two concepts into one—the modern steakhouse and a chic lounge. Theatrical lights illuminate each table, large windows allow patrons to catch a glimpse of the bustling Gaslamp Quarter, while a DJ creates an energetic vibe throughout the entire space. 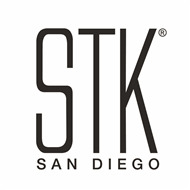 STK San Diego is located in the heart of Gaslamp Quarter at the Andaz San Diego. As anticipated, steak is the main attraction. STK San Diego offers small, medium and large cuts of meat, as well as market fresh fish entrees, and various dishes to please any palate. Aside from steak, signature items include Parmesan Truffle Fries; Lil’ BRGs; Tuna Tartar; and Sweet Corn Pudding. 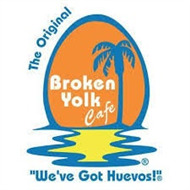 We are a coffee shop located in North Park that serves great coffee, breakfast and sandwiches with creative & savory recipes! 20% off, not to be combined with any other offer. Inspired by the eclectic lounges of New York's meatpacking district and the warm brasseries of turn of the century Paris, Vin De Syrah is complemented by amazing cheeses, desserts and a friendly wine list. This subterranean yet organic space pays respect to the old but embraces the new world with a contemporary style all its own. A much needed breath of fresh air for the Gaslamp Quarter, Vin De Syrah offers sprits, unique beer and of course an array of beautiful wines by the glass. If it's a dirty martini, a frosty Chimay or a smooth glass of Bordeaux, this is the chill out parlor for you. 20% off food and drinks. Not to be combined with other offers. At Table 509 Bar Kitchen,located in the Indigo Hotel, we aspire to meet your every culinary need. We have created relationships with local farms and vendors so we are able to provide our guests with the freshest seasonal ingredients available. Every item is made personally by our chef and very talented kitchen staff, so we are able to accommodate any diet specification or food allergy. Seasonal cooking is not a new concept yet at Table 509, we have captured the essence of seasons through the delicious food we create. Every season invokes its own memories and we invite you to create new memories with your friends and loved ones while you relish in the delight of our menu. 20% Off the entire bill with proof of fit membership. Not combined with any other offers, specials or discounts. The Tavern+Bowl concept covers the bases, from casual dining to lounging on the lanes in a stylish local atmosphere. Tavern+Bowl has taken the concept of the neighborhood tavern to the next level by incorporating state-of-the-art bowling lanes. With gourmet bites, select drafts and fine spirits, Tavern + Bowl is in a league all its own. Our made from scratch Southern California-inspired meal selection features down-home comfort food with a gourmet twist. 20% off food menu and $4 house pints. 20% off food purchases excluding all alcohol. Stylish bar on a hotel rooftop with skyline views, lounge seating & a communal fire pit. The University Club Atop Symphony Towers is San Diego’s premier private social and business club. Located at the pinnacle of one of downtown’s tallest buildings, The University Club boasts a stunning panoramic view of the downtown skyline. Members of The University Club enjoy a spectacular offering of first-class benefits and special programs specifically designed to suit the needs of the busy executive. The Tipsy Crow occupies one of Downtown’s most historic buildings, the Spencer-Ogden building, dating back to 1874, exuding all the stimulation and excitement of a multi-level, vibrant venue. In exploring the three levels, the Main Bar, the upstairs Nest and the Underground, you’ll find an array of old-school games, entertainment, dancing and spots to unwind. There is something for everyone~ perfect for corporate receptions, watching the game, happy hour and social celebrations. 20% discount for Fit members, not including any other offers. Guilt-free healthy and delicious Mexican food! 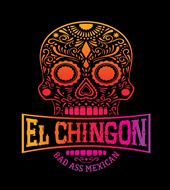 Chef-prepared tacos, burritos, bowls, and salads using only the freshest organic and sustainable ingredients served in a hip and sophisticated fast casual setting. Tocaya’s menu of bold flavors uniquely starts out as vegan, with guests having the option to add both vegan and non-vegan proteins such as carne asada, achiote chicken, sea bass, adobo tofu and more. A carefully curated beverage program compliments the cuisine with house-made aguas frescas, hand-crafted margaritas, beer & wine, and a full coffee menu. Happy Hour daily from 3pm-6pm. Fit member (plus one) will receive 20% full priced food menu items anytime. Centered on University Avenue in the heart of Hillcrest, Uptown Tavern takes a "super local" approach to both food, beverages, and philosophy. 20% off bill. Not to be combined with any other offers or specials. Urban Bar and Grill is a fresh look at contemporary American cuisine that is a great value for everyone. In addition to offering a delicious menu, we are the perfect place for an after office happy hour or gathering of friends. The chic urban environment is perfect for having a glass of wine with or catching a game on one of our high definition televisions with friends! Urban MO’s Bar & Grill, “The Best Gay Bar In The World” is located in the heart of San Diego’s LGBT community – Hillcrest, San Diego, California. Urban MO’s is a hetero-friendly gay restaurant that makes the best burgers in San Diego, hands down. We’re colorful. We’re fun. We’re the best time you’ll have on any given afternoon, and an even better time in the evening. We believe that cocktail glasses should be adorned with plastic farm animals. We believe that San Diego is better served with outside patio seating and an all new upper deck. MO’s is more than a bar with the best Happy Hour in Hillcrest – we’re part of what makes Hillcrest, Hillcrest. 15% discount off your catering order. The Urban Taste Catering specializes in making your next wedding, corporate event, or private party memorable. 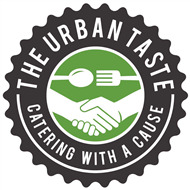 Founded by Brian Jackson and Brian Jinings in 2005, The Urban Taste has catered to San Diego locals for over 10 years. Allow us to help make your next event a great success! We specialize in creating custom menus to suit any budget or diet. Including paleo, vegetarian, and vegan options. Visit our website to view a sample menu! 20% off your bill not to be combined with any other offer. West Coast Tavern is a laid back urban tavern set in a distinct atmosphere with something for everyone. You will find unique drinks and great people surrounded by contemporary design and rich history. Our small plates menu is ideal for sharing and has transformed the standard quick meal into a delicious and affordable culinary masterpiece. West Coast Tavern is set in one of North Park’s most historic buildings. Built in 1929, it was recently awarded for its architectural achievement. Come see history in the making. An American Brasserie introducing a self-service beer bank with 24 taps showcasing local brews. Unpretention meets indulgence with American classics layered with creative twists. Full cocktail bar and patio seating. Known for good food and fun drinks, you take control of the whip and create your own experience. Bi-weekly ticket give-aways through Fit's newsletter. Be sure to read the newsletter for your chance to win. Fit members also receive a 10% discount. As part of the world renowned Belly Up, The Wild Note Café is a neighborhood bistro style restaurant with exceptional atmosphere, exciting food & excellent service. This is where guests enjoy the offerings of our talented chef, both before and after show, or for a relaxing lunch. We are located in the heart of the Solana Beach Cedros Design District, within walking distance of the Amtrack Station. The style is casual with fifty-six seats (plus bar seating). The patio may be privatized and seats up to 18 guests. Before you come to a show here at the Belly Up, don't miss what's being featured next door at the Wild Note Cafe! Don't forget to make your reservation by calling 858.720.9000.